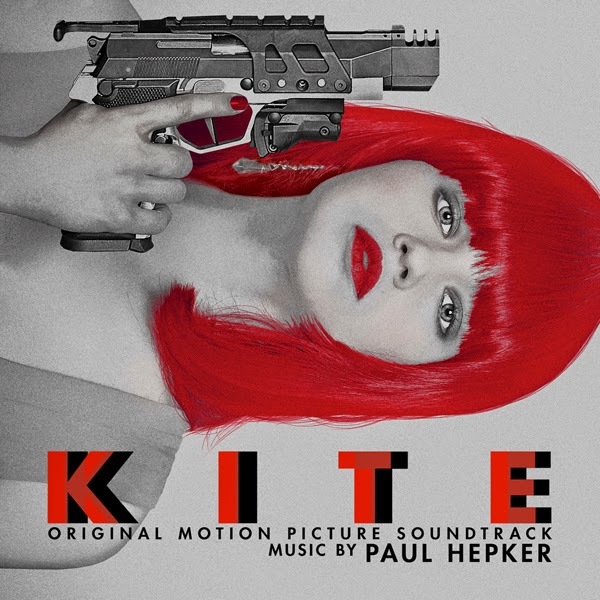 Lakeshore Records will release the KITE – Original Motion Picture Soundtrack digitally on September 30, 2014, and on CD October 21, 2014. The album features original music by Paul Hepker (TSOTSI, RENDITION). Based on the groundbreaking, cult classic anime, KITE tells the story of Sawa (India Eisley), a young woman living in a corrupt society where crime and gangs terrorize the streets. When Sawa's mother and policeman father are found victims of a grisly double homicide, she begins a ruthless pursuit for the man who murdered them. With the help of her father's ex-partner, Karl Aker (Samuel L. Jackson), and a mysterious friend from her past (Callan McAuliffe), she becomes a merciless teen assassin, blasting her way through the dark world of human trafficking only to uncover a devastating truth. Videovision Entertainment, Distant Horizon, and Detalle Films presents KITE currently available on DIRECTV and in theater and VOD on October 10, 2014. The KITE – Original Motion Picture Soundtrack will be available digitally September 30, 2014 and on CD October 21, 2014.